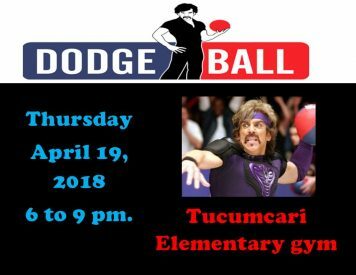 Mesalands Community College will be hosting a Co-Ed Community-Wide Dodgeball Tournament on Thursday, April 19, 2018 from 6-9 pm. The tournament will be held at the Tucumcari Elementary School Gym. This event is open to the community. Stop by the Student Affairs Office to pick up a registration packet.